In the early fall of 2015, a group of community members, passionate about cancer support services in Yates County, came together to raise money and awareness for people in our community. In the past, 100% of all money raised has been sent out of Yates County. With that information in hand Dusty Baker, Ron Miller, Pat Moravec, Kevin Murphy, Cindy Murphy, Alicia Parkhurst, Dawn Shipman, and Marty Shipman put their heads together to develop a new plan to ensure the money raised stayed in Yates County for those in our community who need cancer support. In 2016 the 1st relay type event called “The Hope Walk” was held with huge success. Over the next three years, the Hope Walk of Yates County has added several additional services to its program. Services such as issuing Grants to Yates County residents (up to $500) to help cover the medical cost associated with cancer, hair care service, head covering service, up to 6 months membership at the Yates Community Center, one private session with a personal trainer, gas assistance, cancer screening, assistance to find healthcare, and cancer support groups. 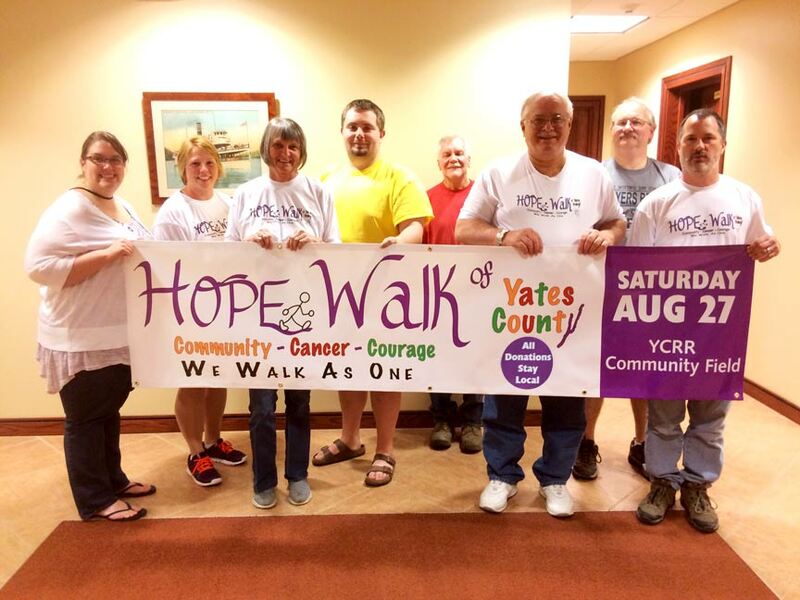 This event called “The Hope Walk” will be held on the 4th Saturday of August starting at 3:00 pm ending at 11:00 pm at the fields behind the Yates Recreational & Resource Center to raise money for cancer support services in Yates County. We are a group of Yates County community members working to support those in our community who face the burden of cancer. Due to the generous support from our community, we can now provide help and hope to cancer patients, survivors, their families, and caregivers by providing financial, emotional, spiritual and social programs. Assistance is available for any resident living in Yates County currently receiving treatments for cancer that needs personal or financial assistance. Please download the Grant Form by clicking on the link below. Fill out the form and send it back to us. We are currently offering up to $500.00 grants. The money raised will stay in Yates County to support people with cancer. 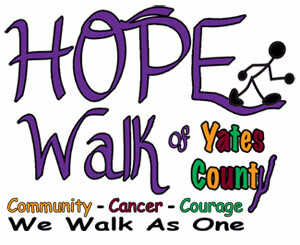 The Hope Walk of Yates County is a local, community-based, voluntary health organization dedicated to assisting Yates County residents with cancer through research, education, advocacy, and service. Alicia Parkhurst, Dawn Shipman, Pat Moravec, Dusty Baker, Kevin Murphy, Ron Miller, John Wormuth, Cindy Murphy, and Marty Shipman. Ron Miller is a retired teacher having taught for 36 years at Dundee Central School. He is presently a real estate agent in his 21st year. As a cancer survivor the mission of the Hope Walk of Yates County is very dear to his heart. Raising funds to assist cancer patients and caregivers in Yates County reflects Ron’s motto of "working together we can make a difference". 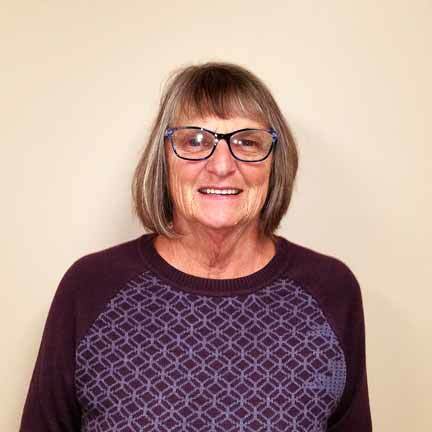 Pat grew up on Grand Island, NY and moved to Penn Yan in 1975. She is married, has four children and two grandchildren. Pat is retired from Barney Moravec, Inc. She is co-treasurer of the Seneca Lake Duck Hunters Assoc. Cancer struck her family in 1976 when she lost her mother to colon cancer. Like most people, she has had other family members and close friends affected by this terrible disease. Pat volunteers with the Hope Walk of Yates County so local residents who are fighting this disease can get the support that they need. Dawn is a transplant to Penn Yan over 30 years ago, yet she is more PENNYANIAN than her husband who was born and raised here. She is a wife, mother, grandmother and has been volunteering in the community since 2005. Recently she became a Certified Group Fitness instructor and teaches at the YCRR. Dawn developed a strong devotion to help Yates County residents currently fighting cancer. Dawn herself is a Cancer survivor. This past April (2017) Dawn celebrated her fifth year of remission from Triple Negative Breast Cancer Stage 2. 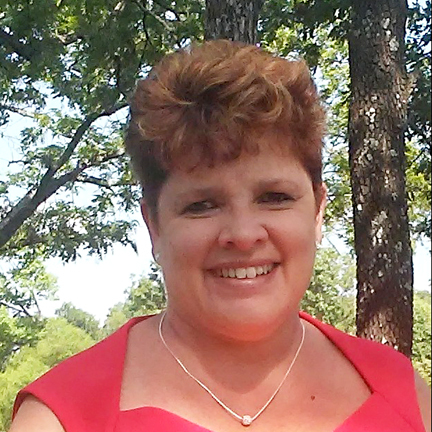 Dawn’s goal is to make a difference in her community by efficiently and effectively stewarding the dollars raised through Hope Walk of Yates County and to embrace all who fight the fight. Marty is a family man who believes in giving back to the community where he was born and raised. Penn Yan is his home town where he and his wife Dawn raised their family. He is a businessman, Certified Financial coach, peace officer and is incapable of pitching anything he himself doesn’t whole hardly believe in. While being the caregiver for his wife while she was battling cancer Marty saw a need for those in that role. Being a caregiver can be overwhelming mentally, physically and financially. Where the unique blend of leadership, vision and knowledge, his goals for the Hope walk of Yates County is to empower others to become change makers within their community. Kim Fultz is a local girl in the truest meaning of the word. Born in the Penn Yan area her family later settled in Dundee where she graduated from Dundee Central School. After their marriage, Kim and her husband Kevin made the decision to make Dundee area their home as well. Just like so many in Yates County cancer has affected Kim and her family. Kim is a breast cancer survivor and has lost several family members to the disease. She is a registered nurse and has always thrived on giving back to the community that has always been there for her. Kim is looking forward to assisting patients and their families in our community by educating them about the services the Hope Walk provides. She believes wholeheartedly in the holistic approach, (it takes a village). 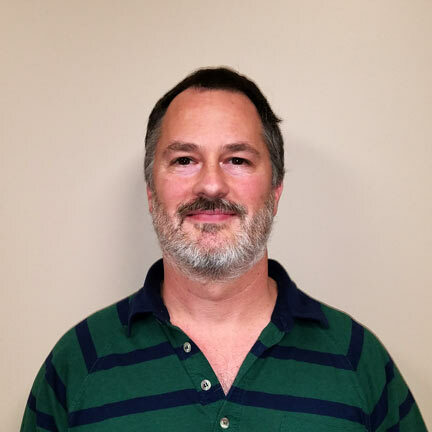 Kevin was born in Washington, DC and moved to the Penn Yan area in 1984. 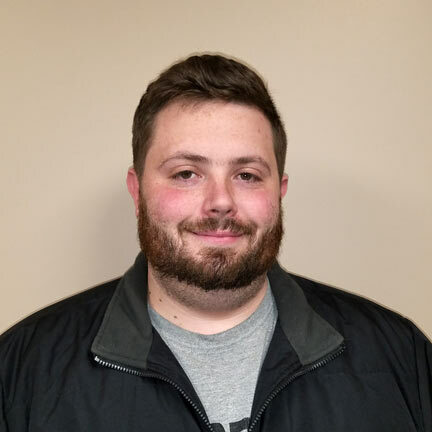 He enjoys spending time with his family, listening to music and is a member of the Drum Club in Geneva, NY. Like most people, he has had a number of beloved family members and friends affected by this terrible disease. Kevin has a passion for helping people any way he can. He volunteers with the Hope Walk of Yates County to help local residents and to give back to the community. Cindy was originally from Waterloo, NY, and moved to the Penn Yan area in 1984. She has had a number of beloved family members affected by cancer including both parents. Her strong passion for helping others is the main force behind her decision to make the health profession her life. She had been involved with other cancer fund raising avenues in prior years as well, making Cindy a perfect fit for the Hope Walk of Yates County. Cindy is married to Kevin (who also volunteers with the Hope Walk) and has one son Sean who has also been active with other cancer related fund raising. 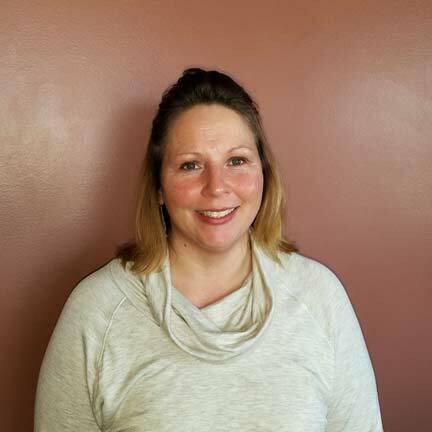 Alicia was born and raised in Penn Yan, NY. Like many residents in our community her family has been affected by cancer. When she was a teenager her father was diagnosed with Nasopharyngeal Carcinoma. It was a long hard battle that unfortunately the family did not win. Alicia’s family could not have made it without the constant support of their family, friends and the community. 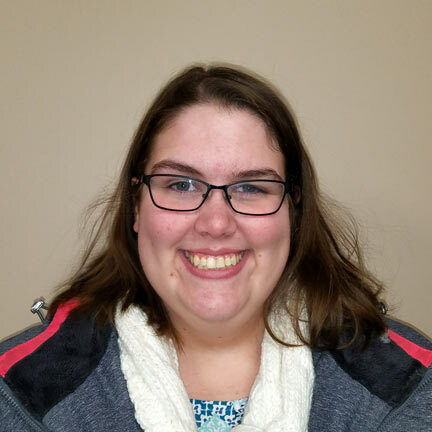 She became involved with the Hope Walk of Yates County because she wanted to help support those within our community affected by this terrible disease. Alicia walks and fights in the memory of her father and is hopeful that this community can make a difference in the lives of those affected by cancer. 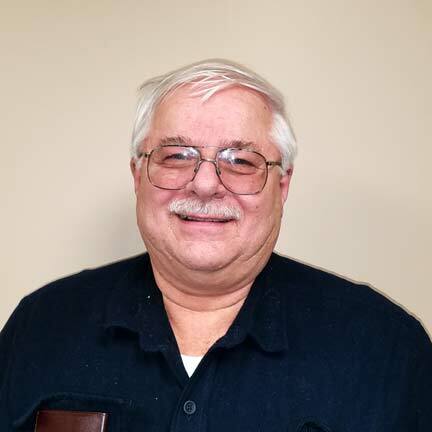 John was born and raised in Penn Yan, NY. Like many residents in our community he has had a number of beloved family members affected by cancer including his father-in-law and niece. 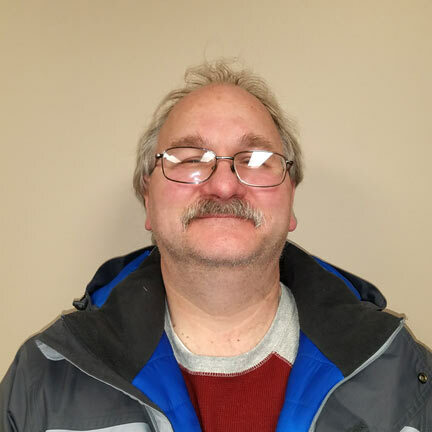 With over 37 years of dedicated employment at the Tops Supermarket John has built a unique and deep relationship with the residents and citizens of Yates County. John has been volunteering in the community since 2000. He became involved with the Hope Walk of Yates County because he saw a need. John uses his talents as a DJ to provide entertainment for the event. 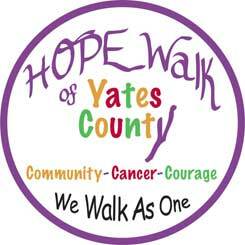 The Hope Walk of Yates County is a local community-based, voluntary health organization dedicated to assisting Yates County residents who suffer with cancer through research, education, advocacy and service.